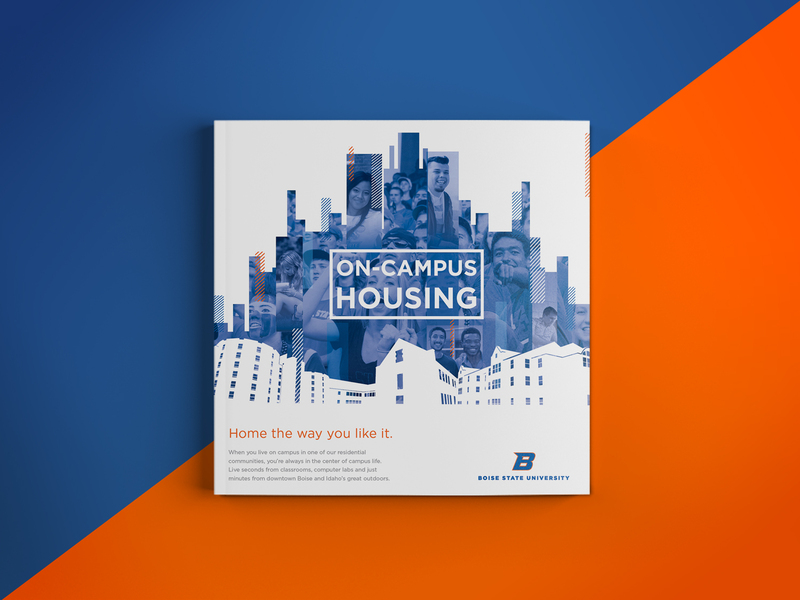 Boise State University Housing provides on-campus living for Boise State students. 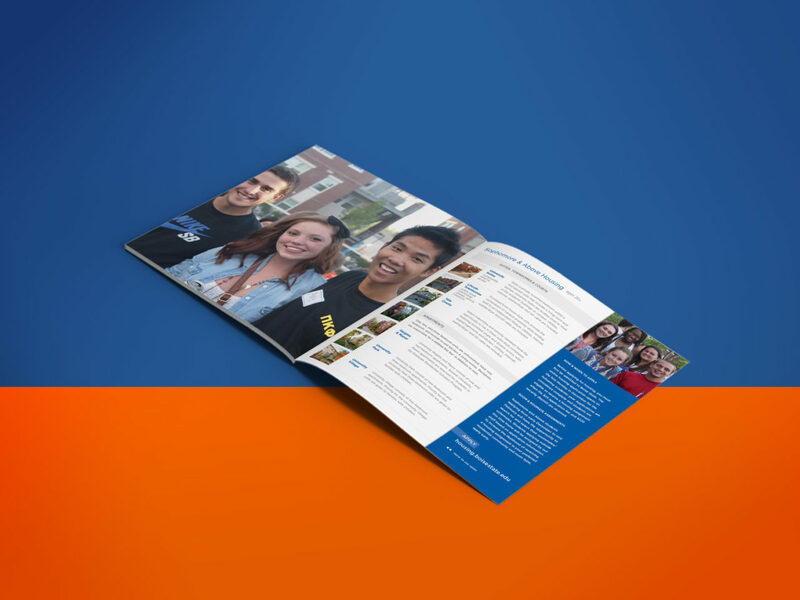 I worked with the department’s director, campus photographer and university copywriter to produce the following print materials. 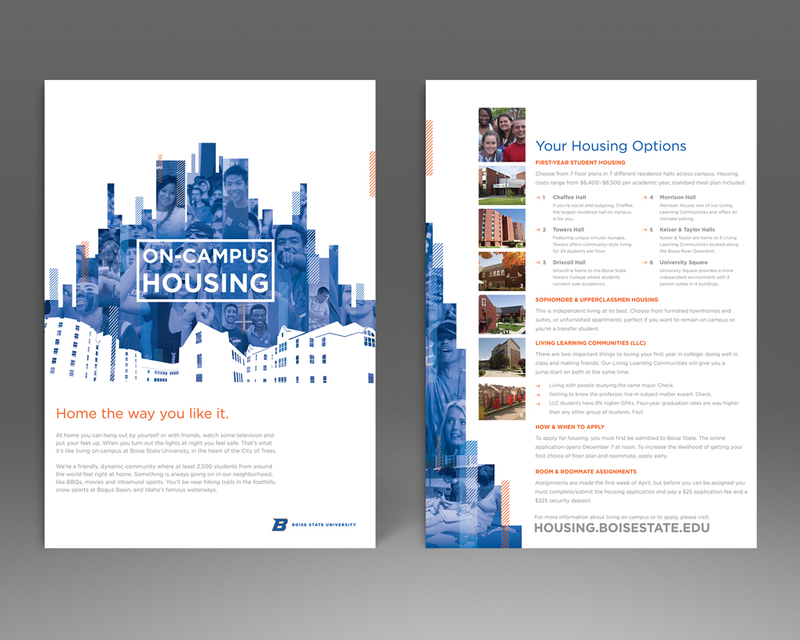 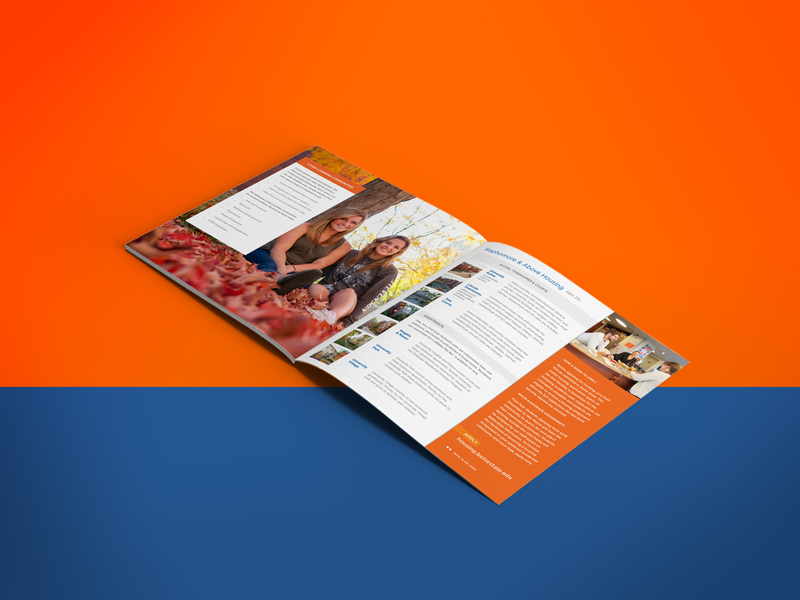 Our main goal was to replace outdated brochures and informational flyers, and to align Housing’s promotions with the University brand and current admissions materials.